Since 2001, I have been aware of the Japanese band the B'z. I auditioned for their live band for their 2001-2002 Japan/Asia tour, not knowing much about them except for the few songs I had to learn for the audition. My wife Anne, being Japanese and having worked in the Japanese music business, described to me that the B'z were the biggest rock band in Japan. 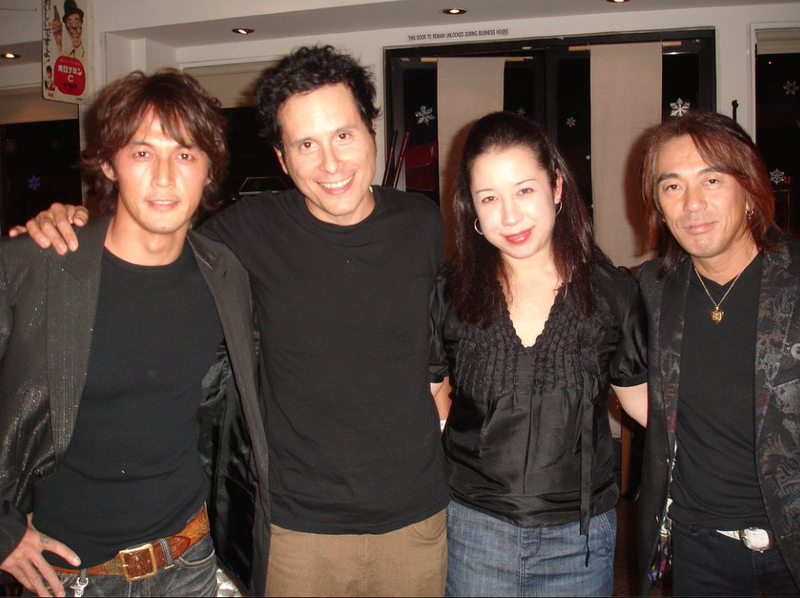 I didn't hear from the B'z until 2007 when they asked me to record for their album Action. The songs are always cleverly crafted and they always hire top notch drummers. That session had Jeremy Colson who drummed with Steve Vai and he, like me, learned the songs we were to record without the aid of reading. I don't sight read and Jeremy doesn't either. It was comforting to know that he was recording purely on memorization like myself. The next record I recorded with the B'z was their 2009 album Magic. This time, another great drummer, Chad Smith, recorded with me. I've known Chad since the early 90's and outside of random jams, never had a chance to record with him. Chad and I warmed up on Space Trucking by Deep Purple then cut our tracks in one or two takes! Well this morning, I have been asked to record with the mighty B'z for their upcoming album. This time the drummer is Jason Sutter and he can read. I asked him if he was going to read at the session and he said he would probably do both. Jason rips on the tubs and I expect the session to be super fun and sound great. For today's session, I am planning on using Tim Lefebvre's Callowhill 5 string since the song requires a low B and I don't own a 5 string. This is the best 5 string I have ever played. I love the 30" scale length. The low B has low fundamentals that are unchallenged in the 5 string game. I want to get Callowhill to make me a fretless 5! I'll also bring my 2006 Lakland Daryl Jones as a backup plan. I usually go direct and I bring my reissue Ampeg Heritage reissue fliptop for the amp. I want to thank Kayo Yoshida for always helping me on these sessions and thank you to Tak and Koshi from the biggest rock band in Japan, the B'z!